What could be more idyllic than watching the sun set over the ocean, staining the water pink with its final rays of light, as your toes sink into powder soft sand? A beach wedding is what everyone dreams of so why not turn the idea from a pipe dream into reality? Here are some of our favourite beach destinations to inspire you to get planning. 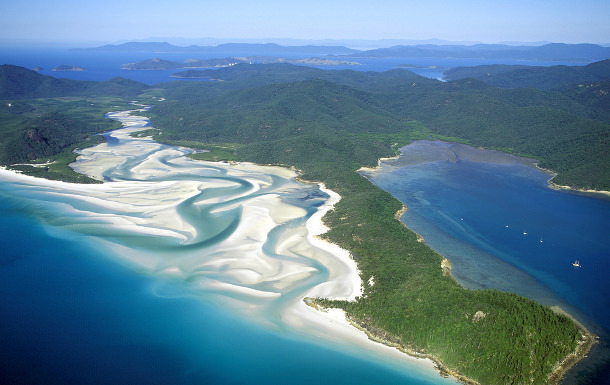 Well known by Aussies and foreigners alike as being the closest thing you can get to heaven on earth, Whitehaven Beach is an oasis of perfect blue water and pristine white sand. 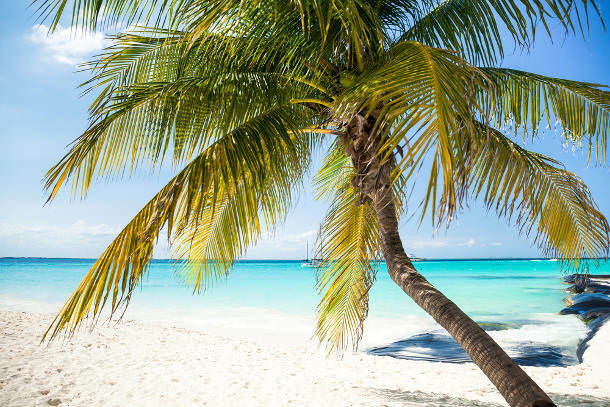 Combine this postcard perfect scenery with the endless sunshine that shines down upon it and you have one of the dreamiest beaches on planet Earth. Senggigi Beach feels like it’s a million miles away from the hubbub and partying of Bali (which is actually just a short boat ride away) and is one of the most relaxing places in the entire Indonesian archipelago. With golden sand and clear, calm water, there is no place better for soaking up some glorious sunshine and sipping on a coconut. Secluded and beautiful beyond belief, Myrtos beach is a magical location and perfect for that beach wedding you always dreamed of. This beach is located at the foot of a rugged mountain, which creates a fantastic backdrop and is blessed with glistening turquoise water and white powder sand. 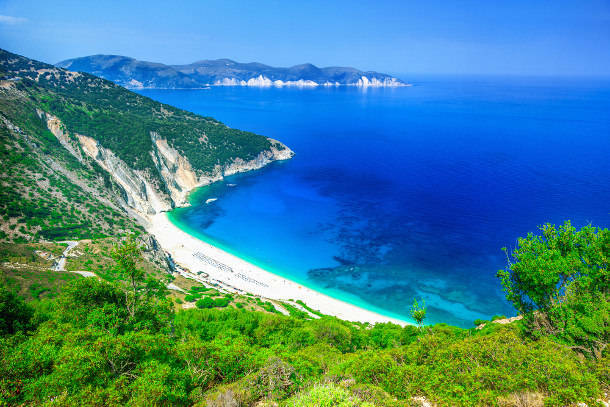 There are few other places in Europe that can compare with the beauty of Myrtos Beach. Just a short boat ride from Cancun, Isla de Mujeres, which translates as Island of Women, is a paradise island that will hold you captive and make you wish you could stay forever. The circumference of the island is lined with sublime, palm-fringed beach, which runs into crystal clear water that throbs with exotic marine life. Why not take a dive while you’re there? Without a doubt one of the most famous beaches in the world, Copacabana Beach draws sand, sea and sun worshippers from all four corners of the globe and never fails to disappoint. Whether you are there during the riotous week of Carnival or during one of the calmer periods of the year, you are guaranteed a fabulous backdrop to your exotic wedding. Check out our Brazilian Wedding Guide to learn more about getting married in Brazil.